He (Sergey Kovalev) had it coming. Irony is always bittersweet. 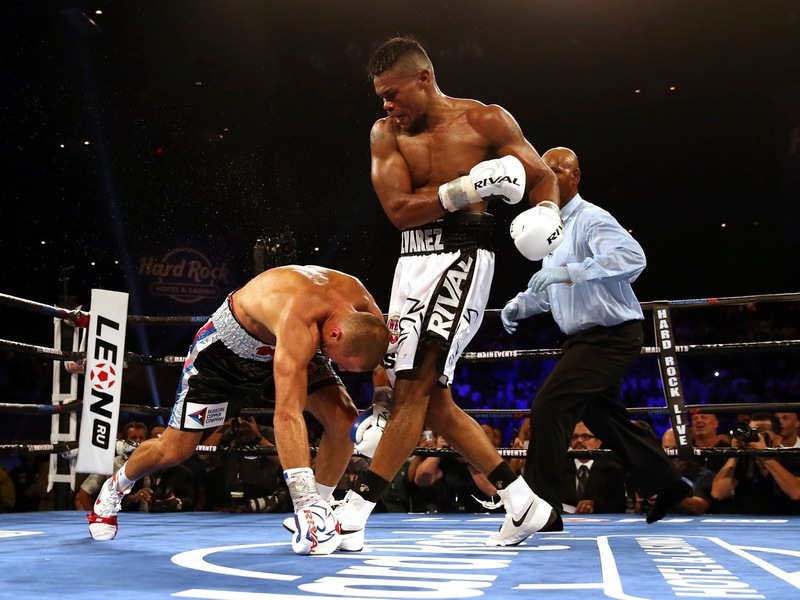 Kovalev (32-3-1, 28 KO), who mocked the punching power of Andre Ward, has been knocked out by Andre Ward and feather-fisted Eleider Alvarez (24-0, 12 KO). After denying that his racist mockery of Adonis Stevenson and Andre Ward was actually racist, Kovalev then dumped his predominately black-American ensemble of trainers because, in his own words, he needed a Russian trainer; that he had been held back from his potential because of those American trainers. But somehow his profiling of his trainers had nothing to do with racist sentiment; they did not correlate at all. ...Then he gets knocked out again. I do not feel sorry for Sergey Kovalev. The card was intended as a buildup for a future matchup between Kovalev and Dmitri Bivol. One can guess that this was to the dissatisfaction of HBO television as perceived-to-be light-punching Alvarez, like Andre Ward, is not what HBO intends to promote. Kovalev’s losses to Ward were also a disappointment to the television network. The judges had Kovalev winning nearly every round. But like to Ward-Kovalev rematch, where the judges failed to notice Ward’s breakdown of Kovalev preceding the knockout, here too the judges failed to notice that Kovalev was outboxed by Alvarez for the first three rounds. Alvarez’s hand speed and movement were too much for Kovalev and he landed his jab at will. Even Roy Jones, Jr. commented on the look of discouragement on Kovalev’s face as he constantly walked into jabs. Had it not been for Alvarez’s lack of power, Kovalev would have never been competitive. Kovalev abandoned his effort to box with Alvarez and simply began applying pressure in round four, landing power to the head and body of Alvarez. Alvarez was visibly hurt but showed his bravado by yelling at Kovalev. Through round six, it seemed that Kovalev’s power would eventually result in a stoppage because Alvarez did not have the power to keep Kovalev off of him. Alvarez was competitive, however, and exchanging with Kovalev. Having fatigued himself from his own onslaught, Kovalev’s lazy jab was countered by an overhand right from Alvarez in the last minute of the round. Kovalev’s legs were gone, but he was not hit high on the head – the area that controls motor function of the lower body – he was hit around the cheek bone area in a meaty portion of his face. Moments later Kovalev was dropped for a second time by left and right crosses that smashed his nasal area. 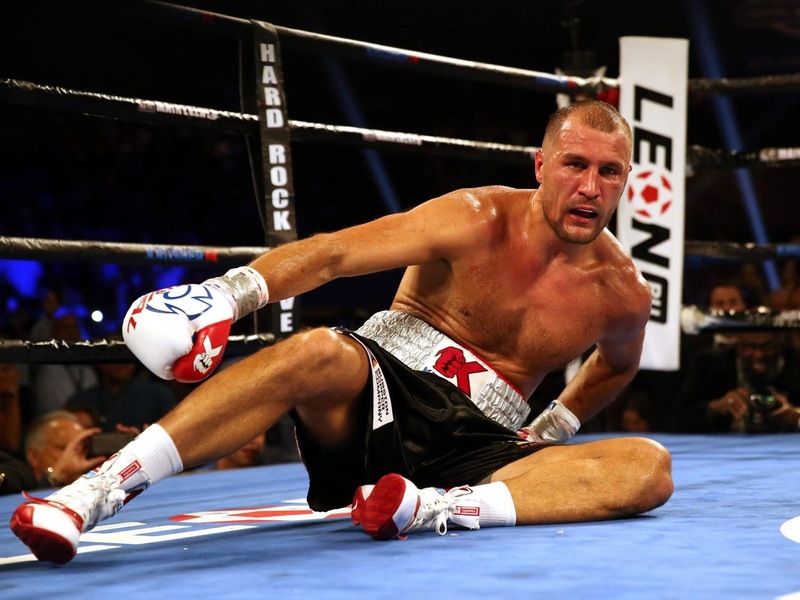 Kovalev fell with his legs in an awkward position with his arm pinned under his body, as we did not have the wherewithal to brace his fall. He made the count but he was not ready and wobbling. The referee gave Kovalev well past ten seconds of recovery – almost ending the round – by asking Kovalev several times if he was okay. Alvarez put Kovalev down for a third time without anything clean landing, such was the weakened state of Kovalev at that point. The referee immediately stopped the fight just as the round was about to end. In plain denial, Kathy Duva (Kovalev’s promoter) stated that she thought Kovalev was dominating the fight and just, inexplicably, a lucky punch landed. What else can be said? In fact, Kovalev was guaranteed to fade as the rounds went by. It was just a matter of Alvarez being able to weather the punishment he was taking. Of interest to the reader is the fact that Alvarez had been the mandatory challenger to Eleider Alvarez for three years. Most likely, Stevenson had been avoiding him as much as possible. Dmitry Bivol (14-0, 11 KO) retained his WBA light-heavyweight title by defeating Isaac Chilemba (25-6, 10 KO) in a twelve-round unanimous decision. Bivol cannot be rated on this performance. It is easy to feel unimpressed by the fact that he went the distance with Chilemba. In fact, Bivol did hurt Chilemba in the first few rounds and it looked as if Chilemba would not make it to the end. But Chilemba is durable and Bivol backed off his aggression and chose to box the slower, less athletic Chilemba as welterweight Keith Thurman did with Danny Garcia. It has become clear to me that, stylistically, Bivol prefers his left hook, hence that he is most dangerous in exchanges. It just seems to me that he squares his shoulders as he is coming forward, as if he is looking to rotate into the hook. Kovalev has a rematch clause with Alvarez. HBO, probably not interested in promoting Alvarez, may prefer to wait on Kovalev’s decision, as well as have Bivol gain some more experience before facing Alvarez. Moreover, Kathy Duva may want to maximize the shelf life of Kovalev – by exercising a rematch clause – before taking a risk of Bivol also losing to Alvarez.